When the quantity is not very big and the demand of concrete is small, we usually choose simple small concrete mixing station. So what type of mixing station can we use. Common small types mainly include HZS25 mixing station, HZS35 concrete mixing station, HZS50 mixing station. These small essential use hopper feeding station, this is the biggest difference with automatic mixing equipment. Then the control system is different. The simple station selection is simple semi-automatic or fully automatic system, while the national standard automatic selection standard can use the dump truck, dump truck, concrete truck mixer, and can be used in highway, bridge, plants, dam engineering, outdoor engineering construction work. The characteristic of simple small mixing plant is that the construct is brief, the operation is convenient, and removed is easy. This type is the first choice for many small and medium-sized projects. 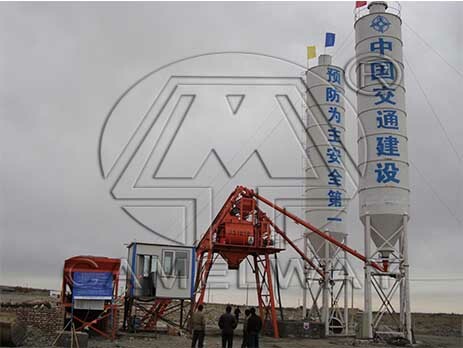 Zhengzhou Camelway Machinery manufacture is specialized in the production of concrete mixer. And the company has an extensive user base in the country enjoying a high popularity. If you want to know more information about the concrete mixer or buy it, you can contact us.